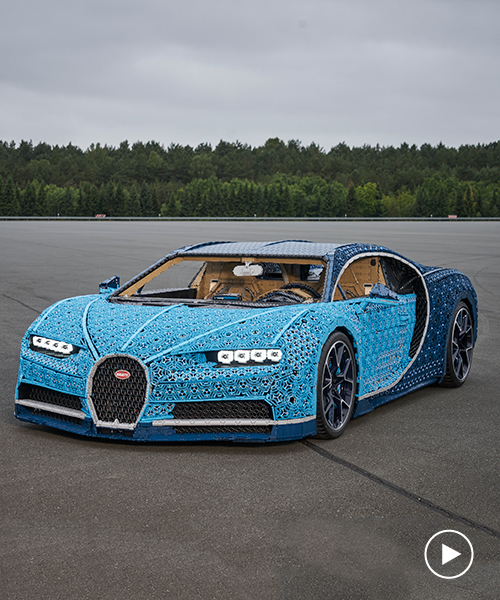 following the release of its accurate bugatti chiron technic model, LEGO has created a life-sized version of the kit. 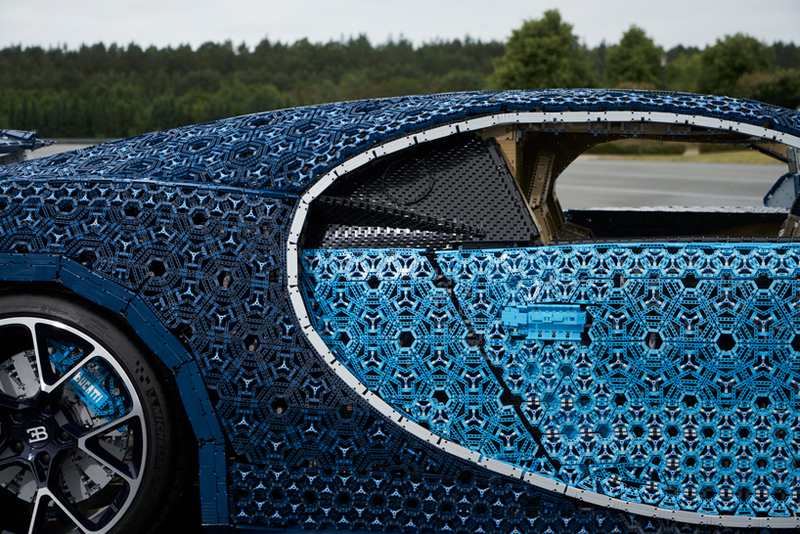 putting the impressive model on display, the denmark-based company recruited a team of its most talented builders to create the piece the took 13,000 work hours to develop and construct. 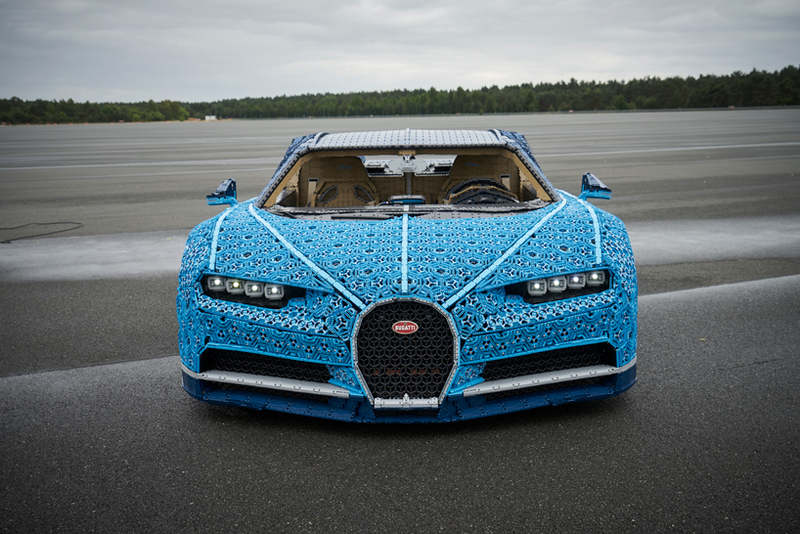 the kit comprises over 1,000,000 LEGO technic elements and is actually drivable thanks to its 2,304 LEGO power function motors and 4,032 technic gear wheels. 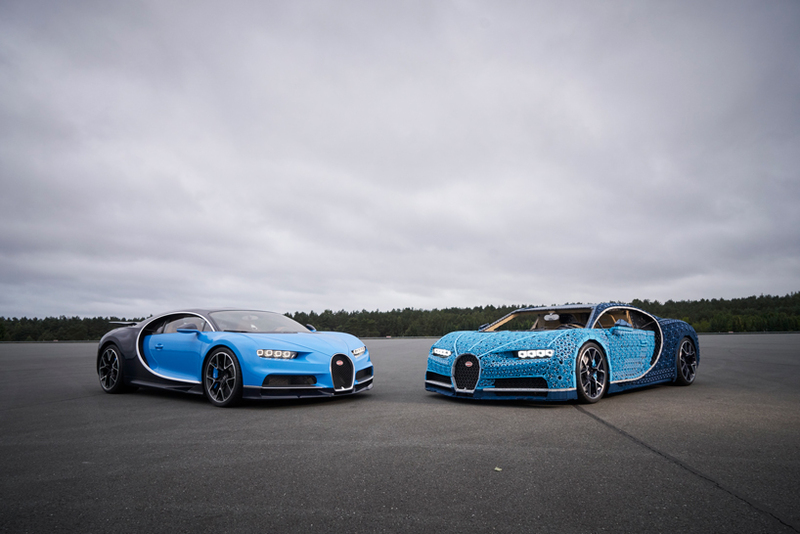 the 3,300-pound can generate up to 5.3 horsepower and reach speeds of 20km/h. technic is the toymaker’s line of interconnecting rods, gears, axles, motors, and other more complex parts than bricks and blocks. technic parts also make up elements like the rear spoiler, speedometer, front and back-lights, detachable steering wheel and the brake pedal. 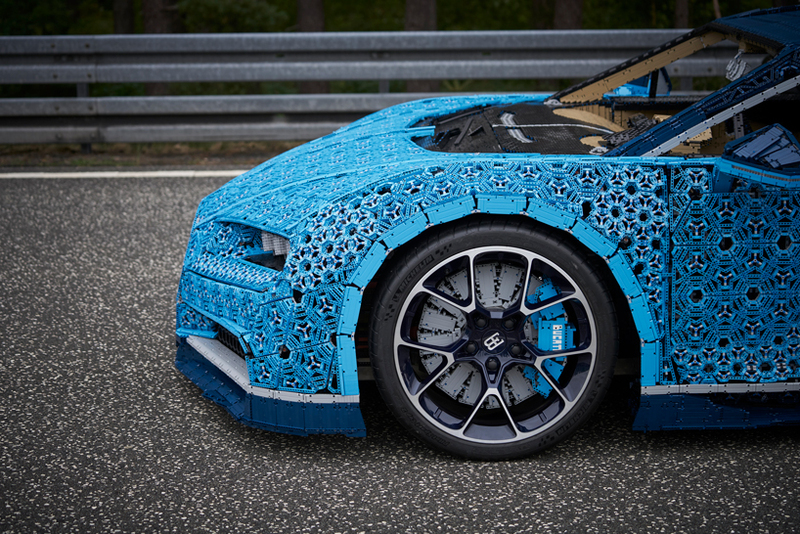 the company started brainstorming the idea back in june of last year, with construction beginning in march of 2018. the piece is not entirely made out of LEGO – there are some components like the car’s steel frame that could not be replicated in plastic. 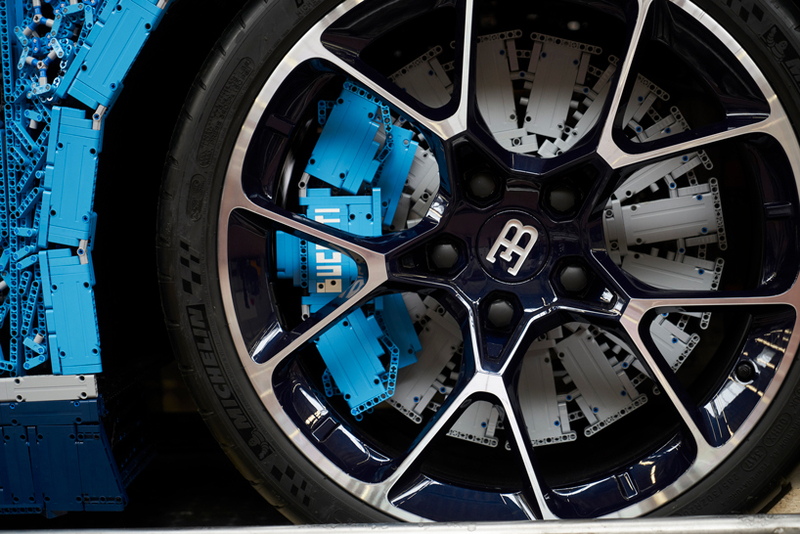 the car also includes a pair of batteries, some 3d printed gears, and the four actual bugatti wheels. it also boats other cool features including a detachable steering wheel, doors that actually open and close, a spoiler that lifts and lowers at the push of a button, a control panel to toggle all the lights and electronics, and a functional speedometer. 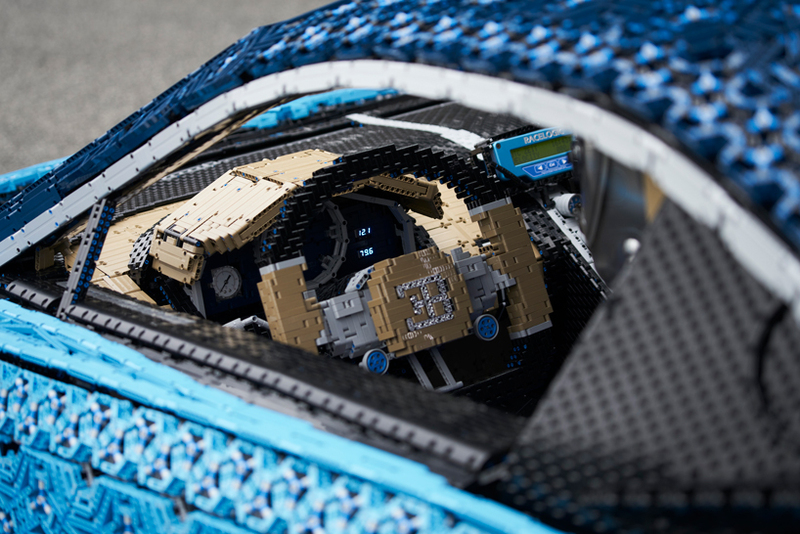 LEGO will be showing the model off in person at the italian grand prix in monza.